This tab acts as a triggering point for on demand crawling. 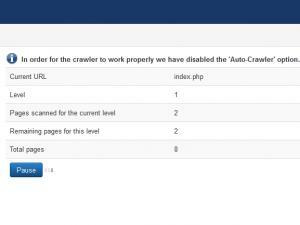 The crawler is being used to identify all your website's pages. 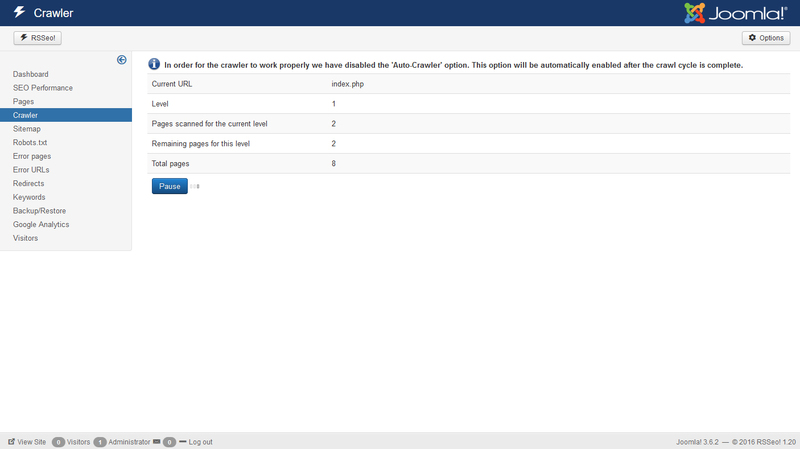 Once the crawling process is complete, the identified pages can be viewed via RSSeo! Pages tab. Option to skip links that have rel="nofollow" when crawling. Since version 1.20, RSSeo! 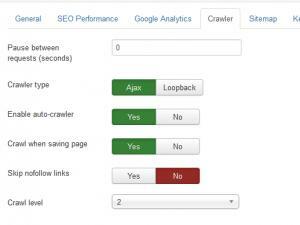 Crawler has been been improved and besides the existing "loopback connections" based crawler we have added the option of crawling pages through AJAX. What can RSseo! 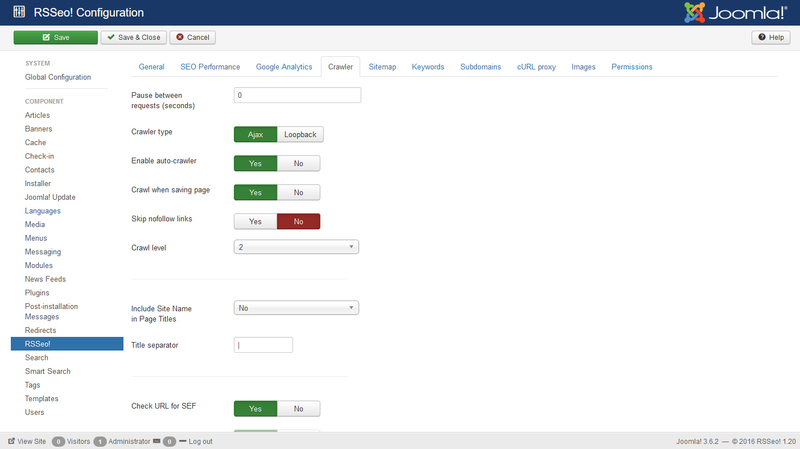 do for your site ?